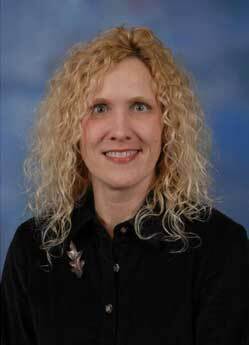 Our keynote speaker will be Michelynn McKnight, Ph.D., AHIP, a former hospital librarian in Norman, Oklahoma for more than two decades. For ten years she taught an MLA CE course entitled "Proving Your Worth: Convincing Non-Librarian Decision Makers of the Value of Your Essential Services." After she left the hospital, she expanded the topics of that course into what became the book, The Agile Librarian's Guide to Thriving in Any Institution (Libraries Unlimited, 2010). She has served on the Medical Library Association Board of Directors and chaired both the Hospital Libraries and Medical Library Education Sections. She earned a BA at Western Illinois University, masters' degrees in both music and library & information science from the University of Illinois, and a PhD from at the University of North Texas. She is an associate professor at the Louisiana State University School of Library and Information Science where she teaches Information Services, Science & Technology Resources, Health Sciences Libraries and a summer online course, Publication for Librarians. Jacqueline Leskovec is the Outreach and Evaluation Coordinator for the National Network of Libraries of Medicine Greater Midwest Region (NN/LM GMR) at the Library of the Health Sciences at the University of Illinois at Chicago. She has been with the NN/LM Greater Midwest Region since 2005 and is currently state contact librarian for Illinois, Iowa, and Michigan. Among her professional responsibilities are outreach to specific populations, including underserved and underrepresented groups; web development; LISTSERV management; and editor of The Cornflower, the GMR's blog. Jacqueline brings experience in the academic, corporate and hospital library realms. She was Assistant Librarian at the University of South Florida Area Health Education Center (AHEC) Program in Tampa, Florida. 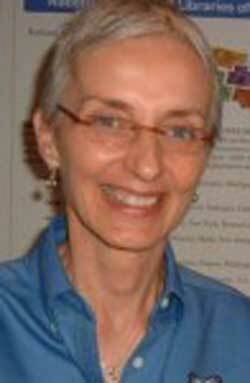 Prior to that, Jacqueline was library manager with the Advocate Health Sciences Library Network in Chicago, Illinois. Jacqueline has over 15 years practice as a registered nurse, including work in quality improvement in addition to her hospital clinical experiences. 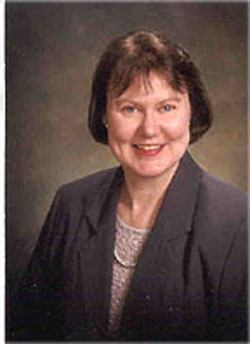 Anne B. Craig, the Director of the Illinois State Library, was appointed by Secretary of State and State Librarian Jesse White on May 1, 2005. Ms. Craig has been employed with the Illinois State Library since 1989. Ms. Craig's mission at the Illinois State Library is to develop and promote libraries and to provide librarians with training and continuing education opportunities that allow them to better serve library users. Illinois has a network of more than 5,000 public, school, academic, and special libraries, and she is committed to strengthening that network and maintaining our libraries as the best and most reliable sources of information in the state. During Ms. Craig's tenure at the Illinois State Library, she was an Associate Director of the Library and Technology Department, Coordinator of Public Services, ILLINET/OCLC Coordinator, and a Reference Librarian. Ms. Craig played a major role in the development of Find-it! Illinois, the statewide digital library, and the Illinois Digital Archives. Prior to joining the Illinois State Library, Ms. Craig worked at Founders Memorial Library at Northern Illinois University. Ms. Craig obtained both the Bachelor of Arts and Master of Library and Information Studies degrees from Northern Illinois University.